Organized into four sections, this collection of essays is geared toward activists engaging with the dynamic questions of how to create and support effective movements for visionary systemic change. These essays and interviews present powerful lessons for transformative organizing. It offers a firsthand look at the challenges and the opportunities of antiracist work in white communities, feminist work with men, and bringing women of color feminism into the heart of social movements. 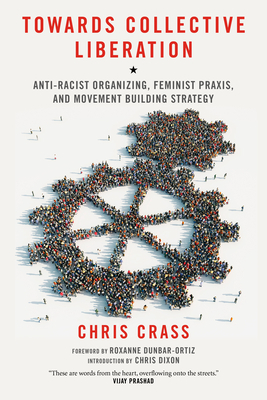 Drawing on two decades of personal activist experience and case studies within these areas, Crass’s essays insightfully explore ways of transforming divisions of race, class, and gender into catalysts for powerful vision, strategy, and building movements in the United States today. This collection will inspire and empower anyone who is interested in implementing change through organizing. Chris Crass is a longtime organizer working to build powerful working class-based, feminist, multiracial movements for collective liberation. He has been an organizer with Food Not Bombs, an economic justice anti-poverty group, and with the Catalyst Project, which combines political education and organizing to develop and support anti-racist politics, leadership, and organization. He has written and spoken widely about anti-racist organizing, lessons from women of color feminism, strategies to build visionary movements, and leadership for liberation. He lives in Knoxville, Tennessee. Roxanne Dunbar-Ortiz has been involved in movements against the Vietnam War and imperialism, and union organizing, and was one of the founders of the Women's Liberation Movement in the late 1960s. She has worked with Indigenous communities for sovereignty and land rights and is also a historian, writer, and professor emeritus in Native American Studies at California State University. She is author of books and articles, including Blood on the Border, Outlaw Woman, and Roots of Resistance. She lives in Oakland, California. Chris Dixon is a longtime anarchist organizer, writer, and educator with a PhD from the University of California–Santa Cruz. His writing has appeared in periodicals such as Clamor, Left Turn, Punk Planet, and Social Movement Studies, as well as in book collections such as The Battle of the Story for the Battle of Seattle, Global Uprising, Letters from Young Activists, Toward a New Socialism, and Men Speak Out. He serves on the board of the Institute for Anarchist Studies and the advisory board for the activist journal Upping the Anti. He lives in Sudbury, Ontario. "Towards Collective Liberation is a memoir, toolkit, self-help book, strategy reflection, and call to arms all at once." —Joshua Kahn Russell, Yes!